BS-6022RF/TRF metallurgical microscopes are high level professional microscopes which are specially designed for metallurgical analysis. With excellent optical system, ingenious stand and convenient operation, they will be your best choice. 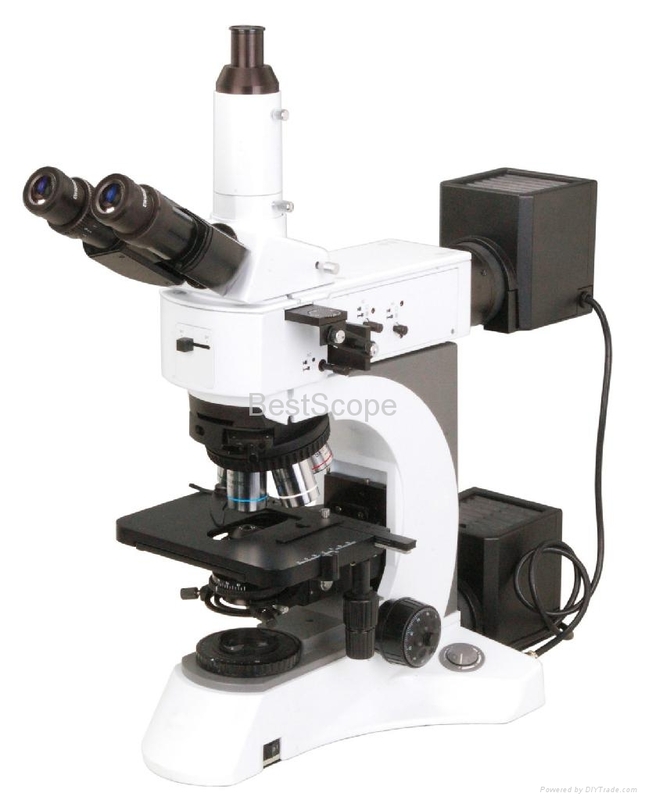 DIC observation attachment is optional for these microscopes to meet some special requirements. 1. Laboratory metallurgical microscope, including bright field, dark field and polarization observation system, DIC attachment is also optional. 2. Powerful transmitted and reflected system with Kohler illumination. 3. Ideal instrument for metallurgical analysis, industry inspection and science research. BS-6022RF/TRF are widely used in institutes and laboratories to observe and identify the structure of various metal and alloy, they also can be widely used in electronics, chemical and instrumentation industry, observe the opaque material and transparent material, such as metal, ceramics, integrated circuits, electronic chips, printed circuit boards, LCD panels, film, powder, toner, wire, fibers, plated coatings, and other non-metallic materials and so on.